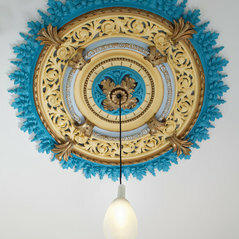 RUTH create’s bespoke up-cycled pendant lighting specializing in domestic, commercial and hospitality spaces. 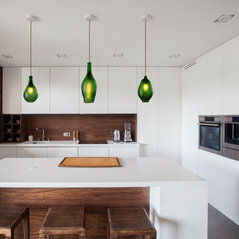 Our Melbourne based studio collects bottles from our local community to later inflate, stretch and manipulate using traditional hot glass techniques. 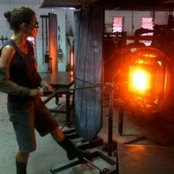 Director Ruth Allen is a glassblower with more than 25 years experience. Ruth has three strands to her professional practice, her Artwork, Community Cultural Development projects and transforming manufactured bottles into re-fillable, re-usable functional designs, all of which nurture her creative spirit. I believe there is great wealth and beauty in up-cycling, my designs are directly inspired by the contours, colour & form of the reclaimed bottle. I enjoy participating in a sustainable movement and contributing to creating environments that spark peoples imagination and challenge preconceived ideas of the world around them. Alive to the social and cultural aspects of place, RUTH lighting concepts are functional, aesthetic, sustainably conscious and commercially smart. Professional Information:Bachelor of Arts, Masters in Glass & Sculpture, Professional Accredited Member Craft ACT, Member Craft Victoria, Member Ausglas (Australian Society of Artists in Glass), Member NZSAG (New Zealand Society of Artists in Glass), Member GAS (Glass Arts Society USA). 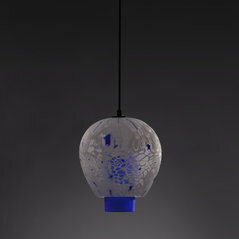 Typical Job Costs:$195 - $6,000Our pendant lighting costs are based on quantity. 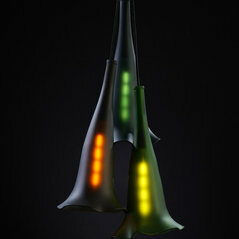 One pendants = $195 + gst + freight.. 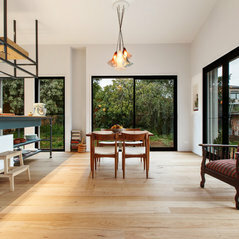 If you were to choose a chandelier design the cost would be incremental depending upon how many units chosen.